On November 22, 2017, H.E. 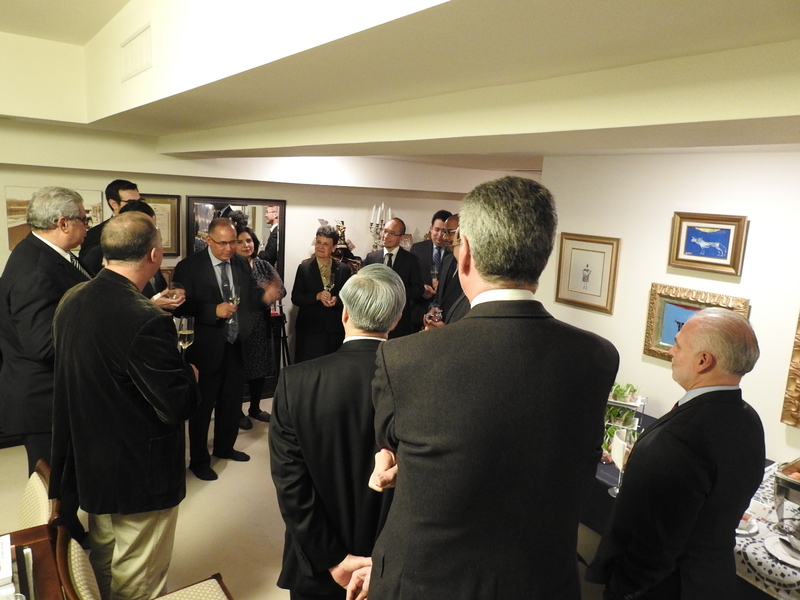 Ritter N. Diaz, Ambassador of Panama in Japan, offered a Friendly Cocktail in honor of H.E. Takahiro Nakamae, new Director-General of Latin American and Caribbean Affairs Bureau of the Ministry of Foreign Affairs of Japan, together with several Ambassadors of Latin American and Caribbean region. Ambassador Diaz congratulated Mr. Nakamae for the recent appointment as the Director-General of Latin American and Caribbean Affairs Bureau of the Ministry of Foreign Affairs of Japan, wishing success in his new endeavor as well as conveying the interest of the Heads of Mission of Latin America and the Caribbean of continuing strengthening the relationship between Japan and our region. 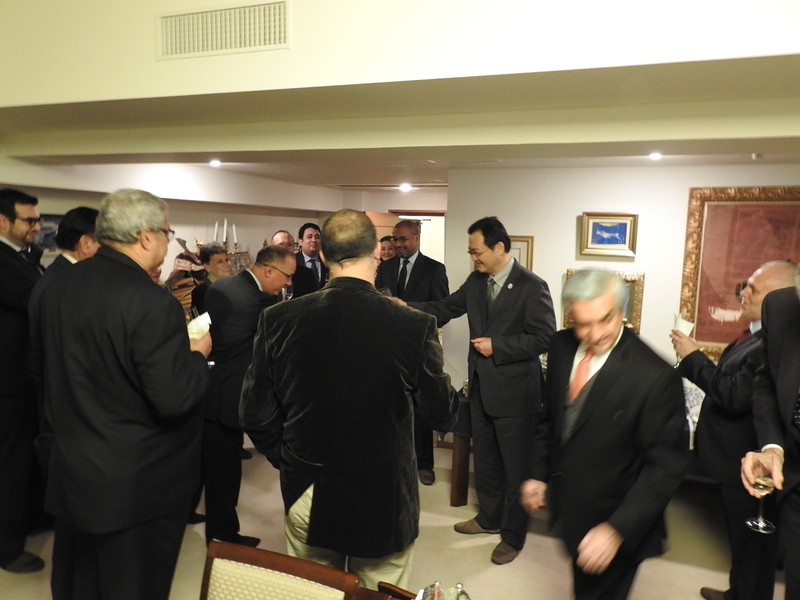 At the same time, Ambassador Diaz expressed his gratitude to Mr. Nakamae for his support during the visit of H.E. Isabel de Saint Malo de Alvarado to Japan, on August 30th. 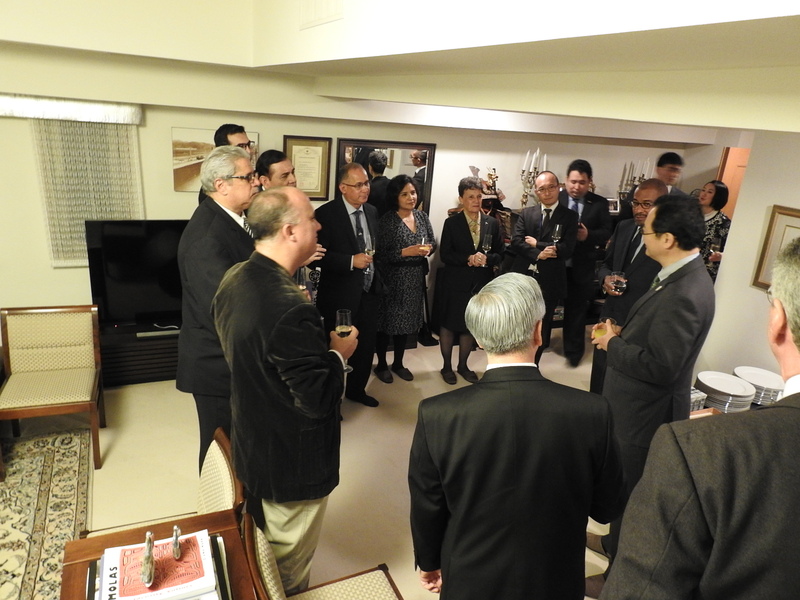 In response, Director General Nakamae expressed his appreciation for the Cocktail offered by the Embassy of Panama, mentioning that he has observed important changes in the relationship between Japan and the countries of Latin American and Caribbean region, such as the increasing number of high level visits between the two regions. He also expressed his willingness to further strengthen the relationship between the Ministry of Foreign Affairs of Japan and the Latin American Embassies accredited to Japan during his tenure. The event was held in a friendly atmosphere and served to facilitate a direct dialogue between the Heads of Mission of Latin America and the Caribbean and the officials of the Ministry of Foreign Affairs of Japan. This entry was posted on Thursday, November 23rd, 2017 at 11:24 am and is filed under event.You can follow any responses to this entry through the RSS 2.0 feed. Both comments and pings are currently closed.